Weil McLain Boilers offer high efficiency, high performance boilers. 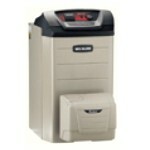 Weil McLain Boilers are perfect for residential or commercial applications. These energy efficient boilers are available in gas fired and oil fired boilers. If you are looking for a boiler with a higher and more powerful BTU capacity then Weil McLain has just what you are looking for. The Weil McLain Boilers of 2010 include the EG Gas Boiler, the Ultra Series 2 Gas Fired Boilers, the CGT Gas Fired Boilers and the CGI Series Boilers. These gas fired boilers offer raw and dependable power that will heat a home or dwelling any size possible. Weil McLain EG Gas Fired Boiler is classified as an Atmospheric Gas Boiler. This gas fired boiler will work on both water and steam applications. There are 8 different models to choose from, which model will work for you will depend on what size boiler you need, the BTU’s range from 53,000 Btu’s to 209,000 Btu’s. These boilers can be used on both the residential and commercial applications. The EG Gas Fired Boiler is fabricated with a Steel Jacket that will increase the energy efficiency by keeping the heat in and decreasing heat loss. These units are equipped with a stainless steel burner; these burners have a fixed primary air that does not need any adjustments. Some models in these boilers have an option to have tankless water heater installed. The Weil McLain Ultra Series 2 Gas Fired Boiler offers what no other boiler can offer the PhD Technology or Precision Hydronic Data Technology. This smart system offers energy efficiency at its best. Located inside the Ultra Series 2 Gas Fired Boilers are the cast aluminum heat exchangers with a stainless steel burner. This burner uses a mixed air and gas solution that will provide more variety of firing ranges. In addition to being energy efficient these boilers offer an Ultra Control Mode that works to control the water supply, water sensors and even the gas flue sensors. The heat exchanger was fabricated with aluminum and is dependable and reliable to provide non-stop heating to your home. 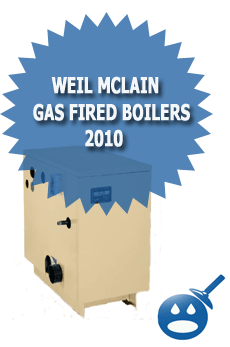 The Weil McLain CGT Gas Fired Boiler is one of the company’s best selling boilers. This boiler has a built in tankless water heater for better efficiency. The heating capacity of the CGT Series has a powerful BTU’s that range from 108,000 to 133,000 BTU’s. This durable boiler can hold 3.1 gallons and provides an energy efficiency of 81%. Like the other Weil McLain boilers this Series offers a stainless steel, high-grade burners. The CGT Gas Fired Boilers are made with cast iron sections that keep the heat in and to reduce the chance of heat loss. You can have your choice of venting systems, the Direct Exhaust Venting System and the Natural Draft Venting. There are plenty of applications that the CGT gas Fired Boilers can be used for. The Weil McLain Series CGI Series Boiler is just one of the premier boilers in the Weil McLain line. This boiler can be used with either a natural gas or propane application. The Series CGI Series Boiler is an Energy Star Rated boiler with an 82% energy rating. This energy efficient boiler is compact so you have more flexibility with installation. The working pressure on these units is 50 PSIG. The CGI Series has a high temp limit of 140 degrees. These energy star efficient gas fired boilers are designed with an elastomer sealing ring that will provide a watertight sealant in between the boiler sections. The Weil McLain Series CGI Boiler is built to last 20 years. All Weil McLain Series CGI Boilers are factory tested before being shipped out. The Weil McLain Gas Fired Boilers are some of the best boilers in the industry. They have raw and powerful BTU’s and they can be used to heat any application such as homes, businesses and commercial applications. Weil McLain has a reputation for manufacturing boilers that are built to last for more than 20 years. The company offers a warranty that is one of the best around. 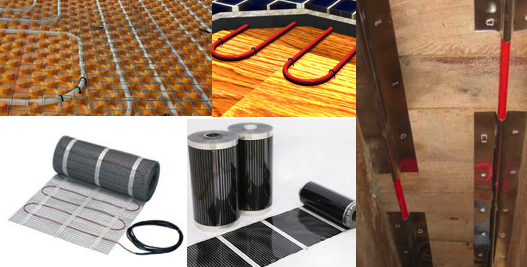 Looking for a new dependable way to heat your home, Weil McLain is one of the best. « Can I Use CPVC Cement on PVC?